Learn How to Get Aggressive Trend Scalper installed on Your Forex VPS. "NextPointHost" mission is to provide best quality forex trading environment. 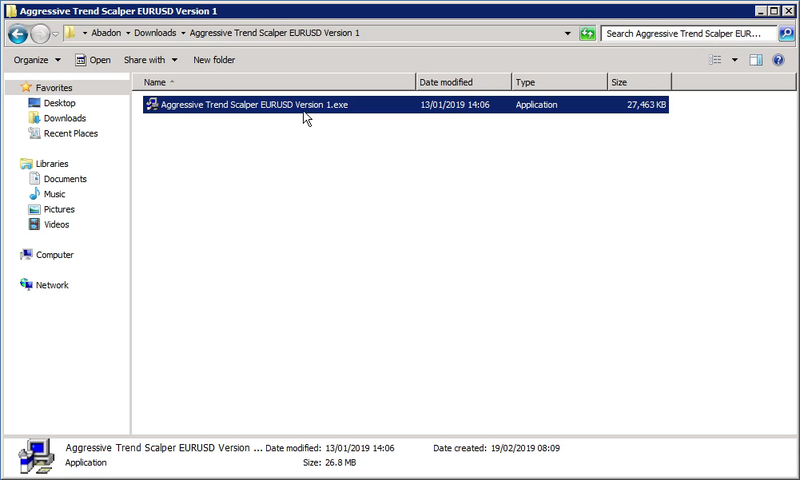 Our 5 star services comes with preinstalled Aggressive Trend Scalper. No need to waste your time with reading installation manuals. Don't worry and don't ask yourself "did I do everything right?". The Next Point Host experts have done all the work in the best way. Sit, relax and start your trading. For people, who loves Do-It-Yourself (DIY) projects, we created that guide. It will teach you how to install the trading robot. You'll receive detailed knowledge how the gears spinning inside the box. Step by step, will understand how to make the installation at the best possible way. Let's make our hands dirty. Follow next steps and be ready for less than a minute. 1. Log into your Forex VPS. 2. Start the installation wizard. 3. Click "Yes" button in order to agree the license agreement. 4. 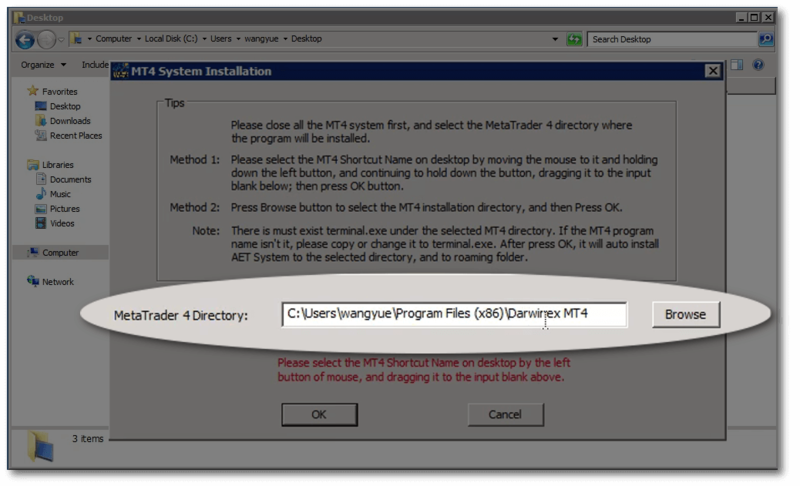 Specify installation directory where your MetaTrader terminal is installed. 5. Write your license key information and click on "Register" button. NOTE: If you don't have a license key, leave the fields "License number" and "Password" blank. Then click on "Demo" button. This step will provide you 7 days fully functional trial period. 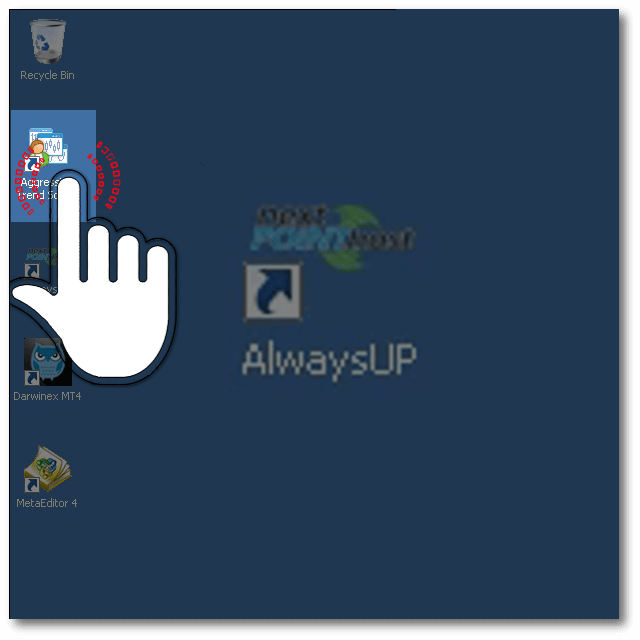 During the trial period will be able to use Aggressive Trend Scalper on all available terminals of your VPS server. Once the trial expire, all trading positions will be closed without matter are they making a profit or a loss. 6. 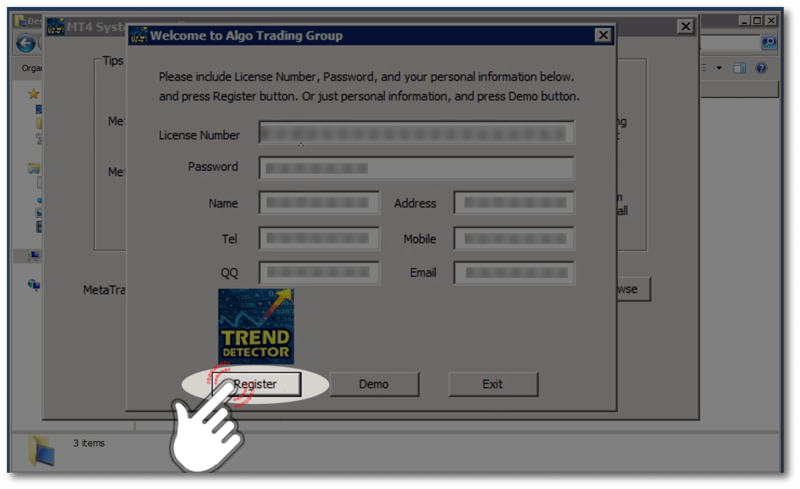 Start the "Aggressive Trend Scalper" from newly created shortcut. NOTE-2: The automated trading system, use own cryptographic algorithm for protection of trades, developed by Yue Wang. 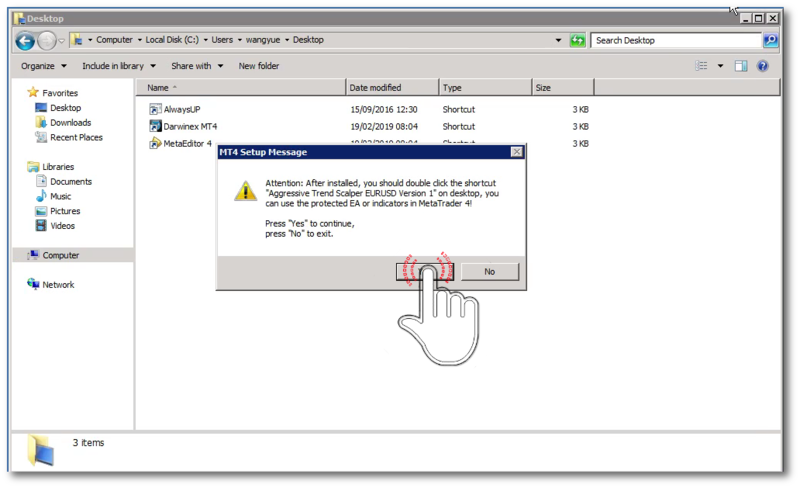 That's why It can not be started from standard MetaTrader shortcut. If you performed all steps correctly, now own ready for use, fully automated trading system. To achieve the best results, we recommend you to read Forex Trend Scalper guide where possible configurations are explained.